This year’s warm summer has left much of Northern Europe without snow. 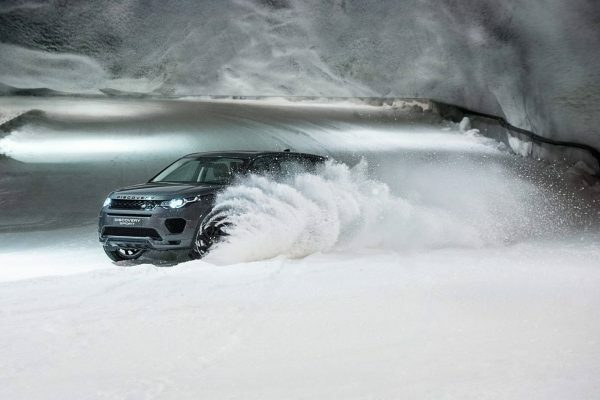 Land Rover took a team of husky dogs in need of training ahead of winter championships to the Vesileppis Ski Tunnel in Finland, for a much-needed sprint around a snow track. Convenience features including Land Rover’s Gesture Tailgate made easy work of getting Jami in and out of the premium compact SUV while the surround camera technology, accessed through the 10-inch central touchscreen, allowed driver Richards to keep an eye on the dogs when manoeuvring inside the tunnel.